We started off the celebration for the coming Valentine's day with some fresh baked, heart-shaped, jam print cookies with strawberry filling... yum. If you need little Valentine gifts for some special little people (or yourself), don't forget to check out my sponsors, especially my newest one, Warm Sugar. These little dolls are perfect for the day. My girls love day gifts are coming from this most lovely shop! Just ordered the cutest little Love Fairies from Warm Sugar! Love you...Love your Sponsors! 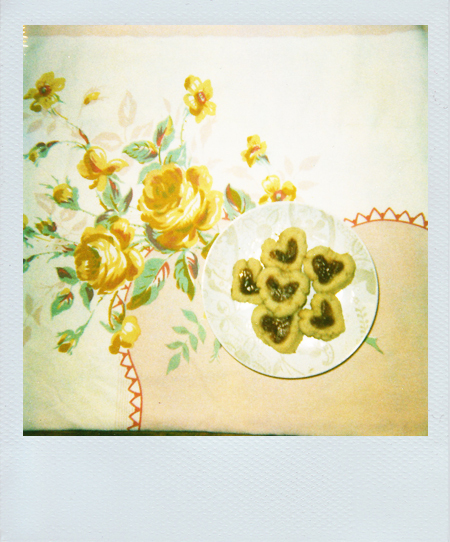 jam print cookies are the best and yours are even cuter as hearts!!! Those dolls are precious! I already bought the materials to make my little one her Valentine's gift, but her birthday is in March : ) PS: Yummy cookies.